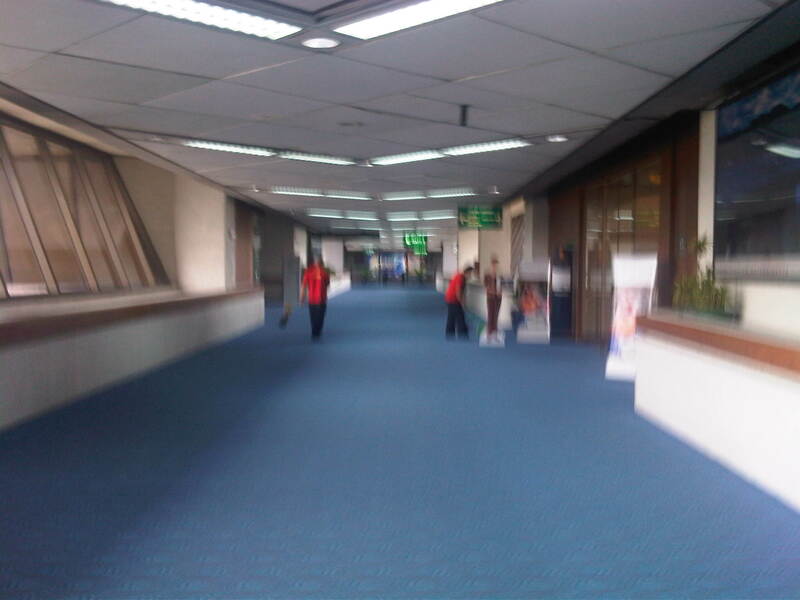 I was able to take a few photos inside NAIA Terminal 1 during one recent trip. Terminal 1 is the oldest of the three main terminals of Manila international airport with the exception of the old domestic terminal. It is this Terminal 1 that was known as the New Manila International Airport until 1986, when it was renamed the Ninoy Aquino International Airport after the husband of former President Corazon Aquino, father of current Philippines President Noynoy Aquino. It is also this Terminal which has been the subject of criticisms for being dilapidated and unfit to be a major gateway to the country, particularly its capital. 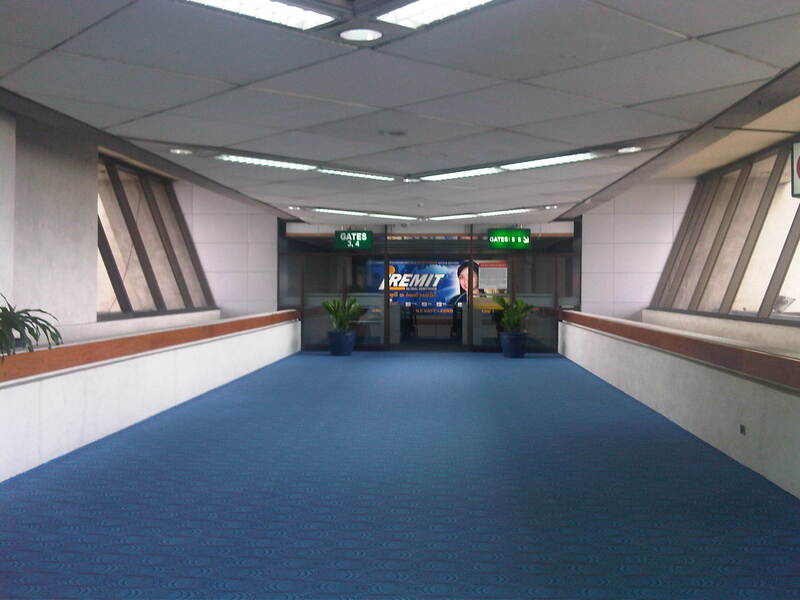 Corridor leading to the pre-departure area and gates at one wing of the terminal – the carpets seem tidy enough and airport staff may be found cleaning the area near one of the airline lounges. 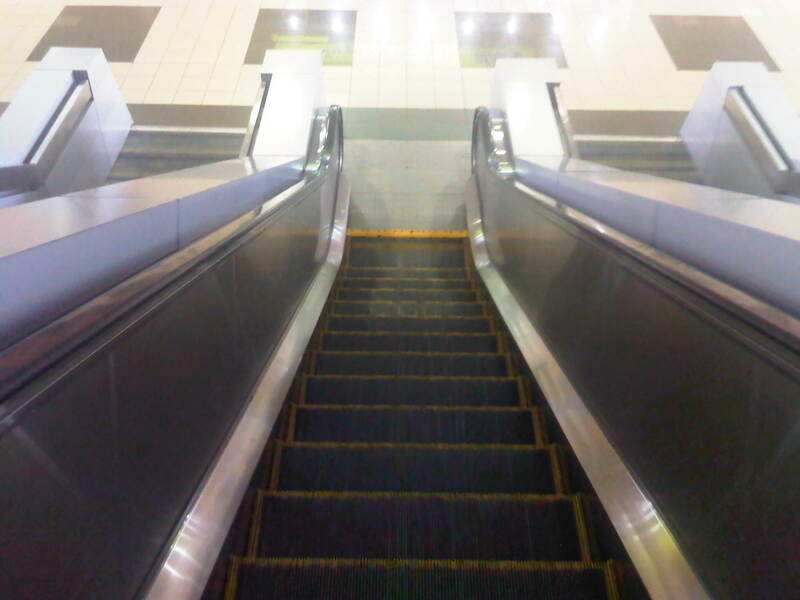 View along the escalator descending towards the pre-departure area – upon reaching the bottom, one will find himself/herself facing counters selling food and drinks to travelers. 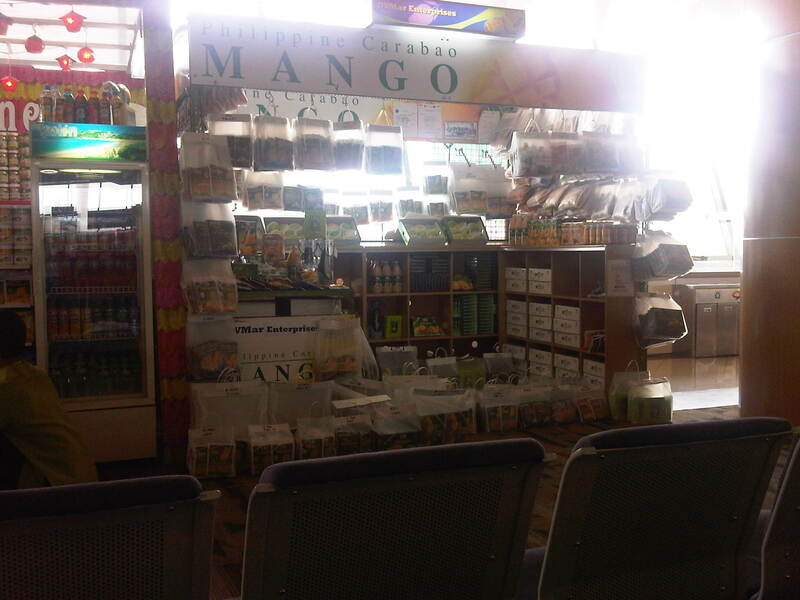 Shops selling local goods like dried fruit, cookies, preserves, souvenirs and other stuff at the pre-departure area of the terminal. Notice the newly tiled floors? 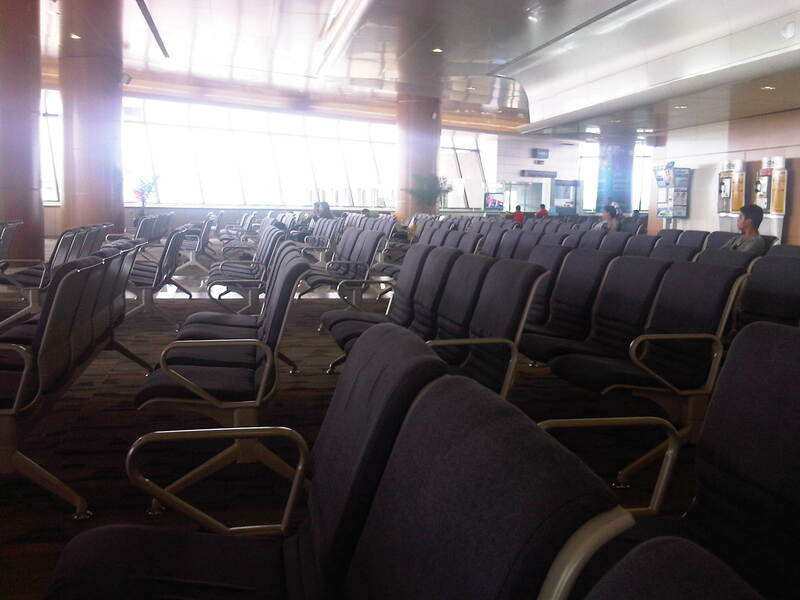 Seats at the pre-departure area of the terminal – this is the free seating area that is not associated with any airline. Normally, areas are cordoned off for passenger control and security measures prior to boarding by any airline. The seats are relatively old but are clean and some appear to have been re-upholstered. Passengers waiting at the designated area for Singapore Airlines. The airline conducts a security check of all hand-carried baggage for all passengers similar to the practice for US-bound flights. Admittedly, there is still much work to be done for NAIA’s Terminal 1 in order for it to be able to handle more passengers and well-wishers. There are also a lot to be done in terms of amenities and we can be hopeful that issues pertaining to its facilities will be addressed sooner rather than later. 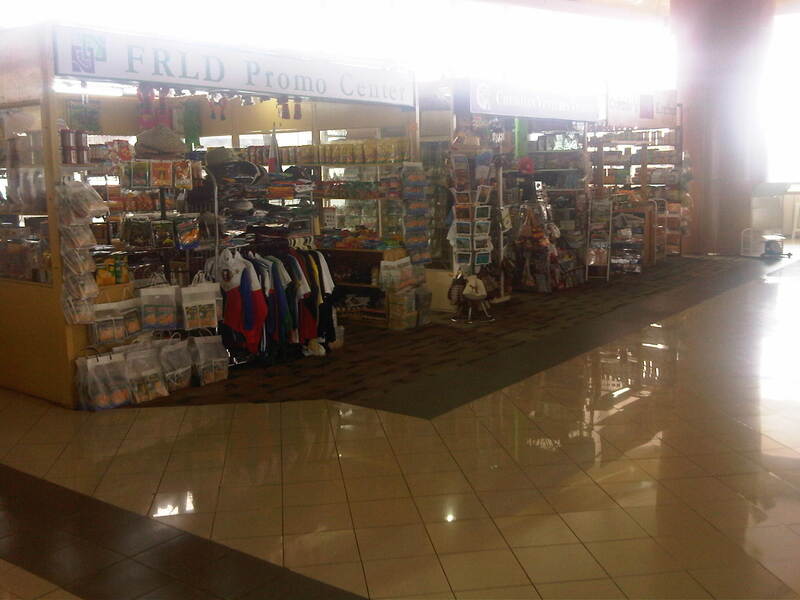 By d0ctrine in Air travel, Airports on August 12, 2012 .